Whether you are hosting a super sweet 16 or a 25th-anniversary party, you want your event to be extra special and memorable. If you are hosting an upcoming event, follow these three tips to make your event stand out from the crowd. Flowers are a phenomenal way to transform your venue into a space that dreams are made of. No matter your theme, flowers are the perfect way to set the mood. Make a statement with bold flowers like peonies or create a light and airy feeling with white hydrangeas. Choose from hanging flower chandeliers, traditional table settings, and gorgeous floral backdrops. Whatever your vision, Deco Catering can help you to make your floral dreams a reality. Choosing a caterer with delicious and unique food offerings is a no-brainer when planning a special event, but how do you find the perfect caterer? First try asking friends, family, and Google for recommendations; then set up tastings with the caterers that seem to align most closely with your tastes. From there, your heart (and your taste buds) will lead you to the perfect caterer. If you are looking for special event catering in Minneapolis and surrounding areas, Deco Catering is one of your best bets. We offer mouthwatering starters and entrees that your guests will be talking about for years to come. In addition to great food, we offer amazing service to help you take the stress out of the setup, serving, and takedown. Tartlets and cookies. Cakes and crisps. No event is complete without delicious desserts. Everyone loves a tasty dessert! Dessert buffets offer a beautiful visual element in addition to being tasty. To make life easier, hire the same caterer for both your main dishes as well as starters, beverages, and desserts. 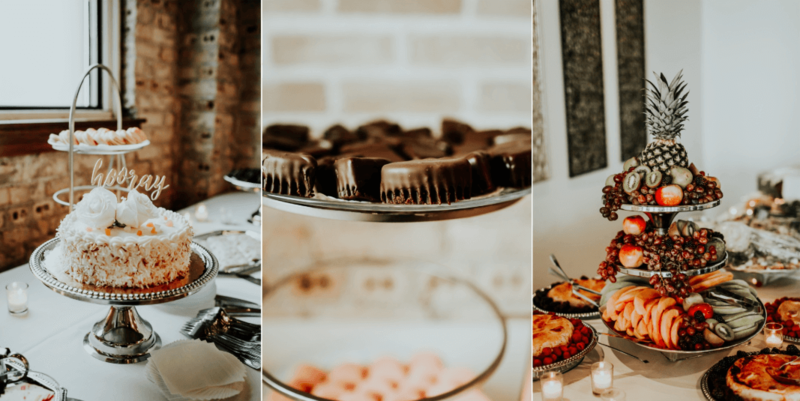 If you are in the Minneapolis area, Deco Catering can help you with each of these key elements of a successful event. Our delicious food, gorgeous arrangements, and talented staff make planning and executing your event a breeze. Here at Deco Catering, we are here for you every step of the way. From the initial planning session to the completion of your event, we have got your back. We specialize in special events, and that is why we know you will be satisfied with our services. To set up your consultation, contact us today! We cannot wait to help you host the party of your dreams!